Posted a new incentive page on the TWC vote button above! 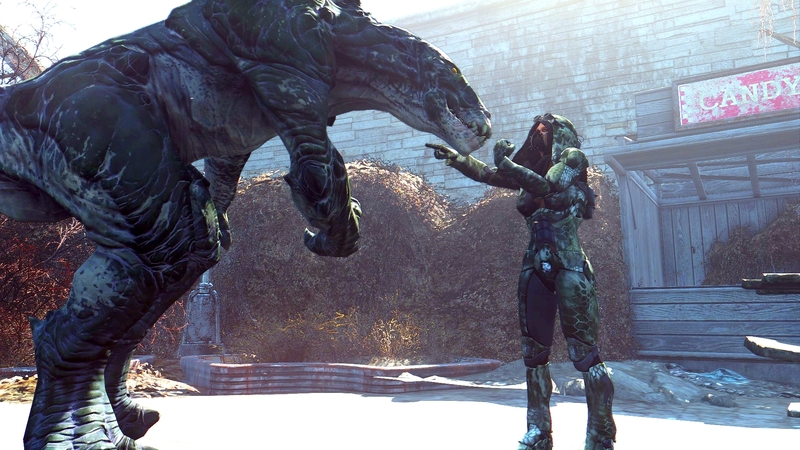 ARES Tsunami CBBE for Fallout 4 is now on Nexus. Check out this screen shot by KapGun! I think that there may be little love lost here! One rescue team shot to Hell, literally. If Shella and Lennare kill each other you'll be back on average. Shella better be made of some tough stuff because Lennare is a very experienced killer. Vyrkola won't die, but he sure has big feet, I must say. Things are looking bleak, indeed, for our heroes (and anti-heroes). The one well-armed and armored unit of heroes is now mostly dead and badly injured/damaged. And Sellah lost the element of surprise, making it very likely that she will die to Lennare's far-more-experienced blade. I suppose it's remotely possible that Lennare could become an anti-hero of sorts. But, considering her ties with the Mag Leung, the Countess, her betrayal of Liam and party, and her bloodlust and past deeds, that sounds rather unlikely.